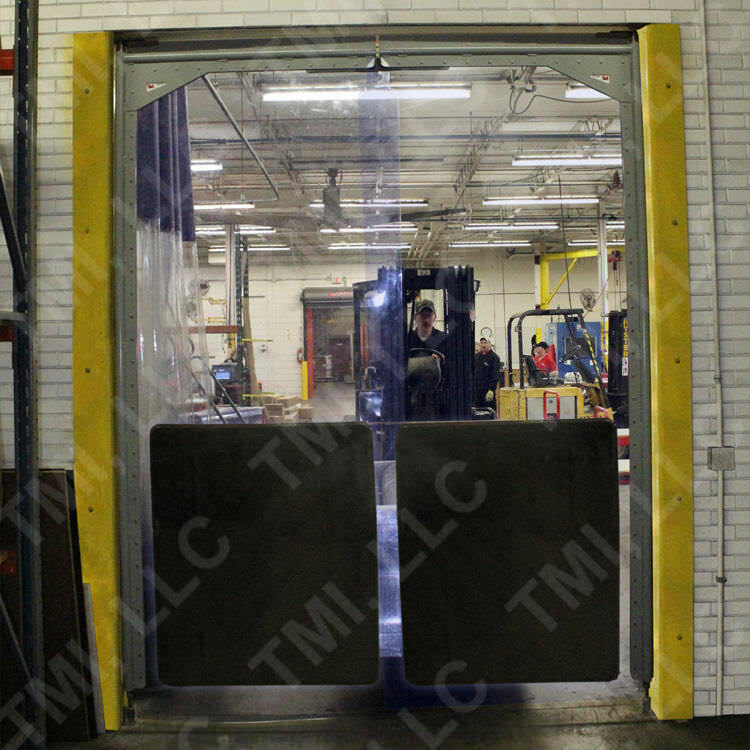 TMI manufactures a complete line of flexible PVC swinging doors for warehouse, cold storage areas and walk in cooler/freezer applications. Made of high-quality, exceptionally clear PVC, TMI swinging doors are the perfect solution for streamlining workflow and boosting productivity. TMI's swinging doors also aid in cutting energy costs by separating temperature-sensitive environments. They also effectively reduce noise and increase employee comfort. 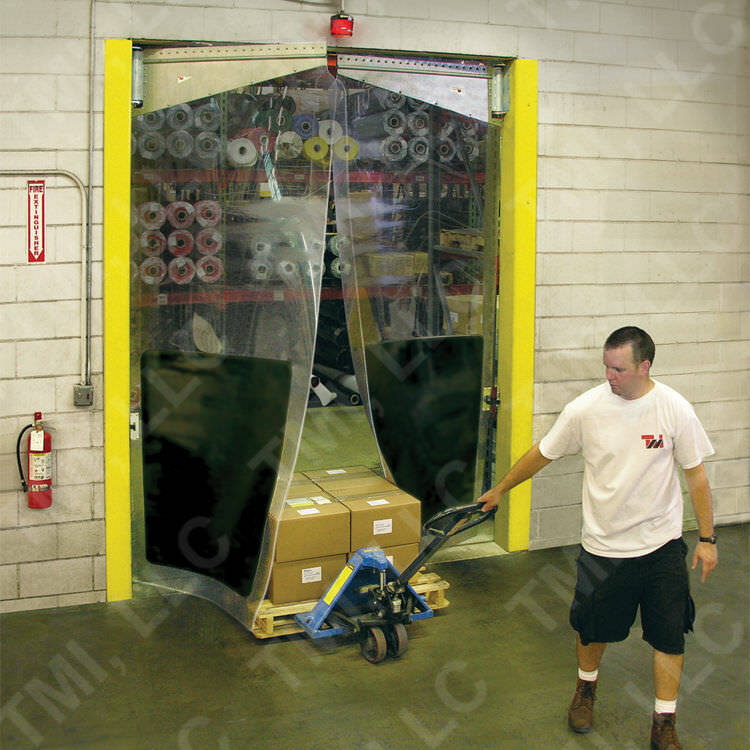 TMI's Mega-Pro™ Flexible PVC Swinging Doors are designed for light industrial applications, such as pallet jacks, light forklift traffic and push carts. Mega-Pro Swinging Doors are made using Standard Clear or USDA Grades of clear, flexible PVC with heavy-duty galvanized hardware. They are available with optional impact plates and can serve as an alternative to traditional strip doors, allowing the user to have visibility and temperature separation without having to walk through hanging strips. 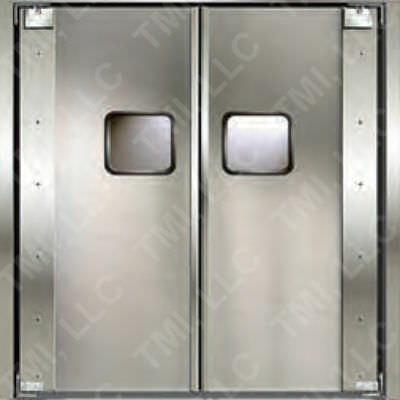 TMI's Mega-Pro swinging doors fit openings up to 10' wide x 10' high. Polar-Pro™ Swinging Doors are light-duty impact doors, commonly used in cooler and freezer applications. 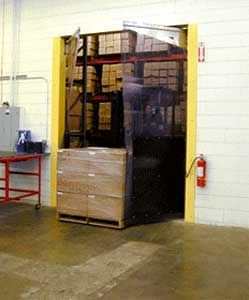 Polar-Pro™ swinging doors fit openings up to 5' wide x 8' high. The Polar-Pro™ is viewed as an alternative to strip doors. They can provide years of energy savings and reduced refrigeration costs without the hassle of walking through strips.